Ready for HD-TV & 3D on Freeview? Many of our visits to check Freeview aerials are generated by the desire to ensure the best HD, home-cinema, experience. More and more high-speed action sports are being watched in HD . Nik and his team will check your whole 3D & HD setup; TV settings, the decoder box, cables and aerial or dish. Get your reception and picture optimised to keep your HD and 3D viewing at its best, call Nik on 07894 642 406. 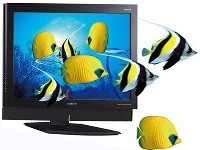 There are a number of options to receive the Freeview Digital TV services with no need to replace your current TV set. Currently, the simplest way to get Freeview is to have a digital TV aerial installed at your property, along with a Freeview box. There is no requirements to replace your television, however if you do want to update your TV set, you can buy a television with an inbuilt digital receiver, and even HD. Freeview HD boxes are readily available on sites such as Amazon. The latest Youview Boxes takes your recording to a new level with all the Freeview off-the-air features combined with your broadband to record past programs from the BBC iPlayer, ITV Player, 4OD, etc. See our Youview Box Setup to Broadband & Aerial service. Freeview Digital TV does not require any monthly subscription to enjoy the free to view channels but there are a number of additional digital TV channels which are available on “Top Up TV” as Pay to View channels, for which you will need to ensure your receiver has a CAM card access. 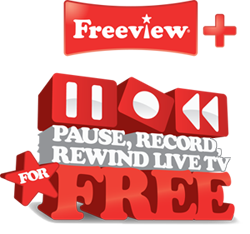 Freeview+ provides anyone with a Freeview+ digital receiver, the ability to record their programmes of choice without tapes, dvd’s or a separate HDD recorder. The Freeview+ digital receiver incorporates all the technology of standard Freeview and a hard disk to store your programmes. You can also pause, rewind and fast forward live TV! Book a visit to organise your Freeview Installation review by our approved Freeview Fitters. Just click on the Facebook Like button, below, to get advanced warnings of re-tuning steps in your Facebook feed. Very good job would highly recommend. Fast installation even set up our new box. Polite and friendly service.